Addis Ababa — Pan-African telecom operators MTN, Orange and Vodacom are vying to enter Ethiopia for the opportunity to serve 105 million population, following progress in the telecom privatization process of the country, TMT Finance reported. According to the news provider, telecom, media and tech investment and consolidation activity in Africa is predicted to reach a record high for 2019 as a number of significant deals, including the opening up of Ethiopia's telecom sector are scheduled. 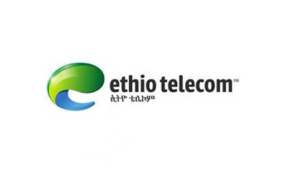 The report added that Ethio Telecom, which has around 66 million customers, took a major step forward in its much-anticipated privatization last month by pre-selecting six consultancies in partnership with the World Bank. Ethio Telecom will be split into two businesses, offering tremendous growth potential to new entrants, it further stated. Privatizations of telecom assets are also planned for Togocom and Benin Telecom in West Africa with consolidation investments expected in Kenya and Tunisia. TMT Finance reported that the acceleration of investment into mobile and broadband infrastructure across the region continues as operators and investors try to meet the need for data services.